Charles P. Carey is a partner in the firm Henning & Carey Trading Company. He is on the board of directors at CME Group, Inc., Chicago Mercantile Exchange, Inc., and BM&FBovespa SA. 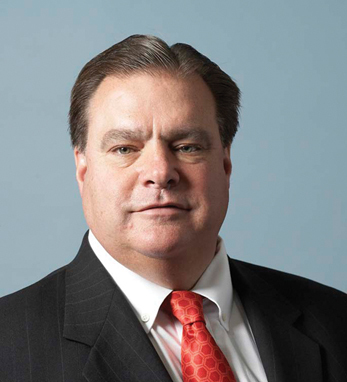 Previously, Charles served as vice chairman of the CME Group from 2007 to 2010. He served as chairman of the CBOT from 2003 to 2007; as vice chairman from 2000 to 2002, and first vice chairman from 1993 to 1994. He also served as a member of the CBOT’s board of directors from 1990 to 1992 and again from 1997 to 1999. In 2007, he delivered the Keynote Address at Irish America’s Wall Street 50 dinner. Charles began his trading career in 1976 at the MidAmerica Commodity Exchange prior to becoming a CBOT member in 1978. He serves on numerous management committees and is currently a member of the CME Group’s Executive, Finance and Strategic Steering Committees. A lifelong resident of Chicago, he received his B.A. in business administration from Western Illinois University. His great-grandfather was born in Ireland.